What is Cult Information Centre (CIC)? CIC is a charity providing advice and information for victims of cults, their families and friends, researchers and the media. CIC was founded in 1987 and became a registered charity (No. 1012914) in 1992. It was the first charitable organisation, established in the United Kingdom, focusing critical concern on the harmful methods of the cults. CIC is concerned about the use of deceptive and manipulative methods used by cults to recruit and indoctrinate unsuspecting members of society. CIC believes that these cult methods present a threat to the well-being of the individual and the family. Consequently CIC sees the need for gathering and disseminating accurate information on cultism and aims to meet that need. CIC gives educational talks to Schools, Colleges, Universities, Churches, Clubs and Corporations. CIC helps the media with interviews to further disseminate information on cultism. CIC offers information and support for families who have lost a loved one to a cult. CIC offers information and support to ex-cult members who are often experiencing symptoms of cult withdrawal. CIC assists students and other researchers with bibliographies and other information for projects, academic papers and books. CIC provides information to the general public when questions are asked about a particular groups possible connection with a cult. 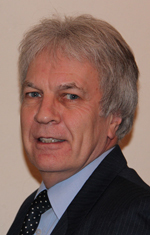 Ian Haworth is the General Secretary and main representative for CIC. He is responsible to the trustees. Ian has worked full-time as a specialist in cultism since 1979. Initially, he worked in Canada before returning to Britain in 1987, when he helped to start CIC. He is an ex-cult member, so he learned about cults the hard way! He has handled over 20, 000 enquiries and delivered over 1,200 talks on the topic. He has acted as a consultant to police, social agencies, educational and religious institutions, as well as being called as an expert witness in cult-related trials. CIC has established an international network of reliable cult aware contacts, particularly in the western world. This network of people, knowledgeable in cultism, comprises individuals from a variety of disciplines and includes other specialists in cultism, mental health professionals, clergy, relatives of current cult members and ex-cult members. These contacts have proved invaluable to those with loved ones in a cult in a foreign land. CIC has an office in South London. For security reasons the office location is not made public. The mailing address for CIC is a private post box address in Central London. The letters BCM are the initials of British Corporate Monomark, a company specializing in secure post boxes. CIC receives funds from speaking engagements, consultancy work and from the sale of leaflets and books. However, basic information on cultism is available free of charge to enquirers. Since CIC is not financed by government grants, it is heavily dependent on the generosity of the public. If you would like details about the different ways in which you can contribute to CICs ongoing charitable work, please contact us. We would be pleased to send you information on covenanting, Gift Aid and other ways of giving. Operating as a charity, CIC is now eligible for greater funding than was possible before. In order to build up CIC we need to continue to develop a sound funding base to help pay for all the ongoing expenses associated with the telephone, postage, the office, staff and all the other miscellaneous costs. If you know of individuals or charitable trusts that might like to help CIC in this important educational work, we would be delighted to hear from you or them and to provide further information on the different ways that people and institutions and people can give.